Amanda is a Virginia native, planted in Charlottesville Virginia. Her passions include DIY-ing everything, trying new recipes with her husband, snuggling her kitty babies, drinking amazing coffee, exploring local breweries, and cuddling with her sweet Corgi. Elopements are one of my favorite things to document! It's such a sweet, private affair between two lovers, exciting because it feels like a secret, like no one knows the couple is off getting married. SO romantic! 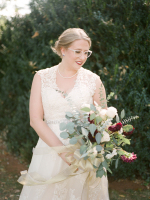 Tyler and Rachel had their sweet city elopement downtown in Charlottesville. Rachel actually MADE her bouquet from flowers she got from Wegmans! How cool is that? Yesterday I had the pleasure of shooting an amazing Gatsby-esque wedding at the glamorous American Hotel in Staunton, VA. Dannah and Francois are seriously one of the sweetest couples I've worked with. You can see the balance and love in their relationship and I just know they are going to have a long and wonderful life together. 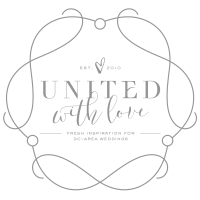 Dannah and Francois- enjoy the sneak peek of your wedding photos! PS. Check out those AMAZING shoes! I had the pleasure of shooting one of the most romantic engagement sessions ever (in my opinion at least!). Emily and Cameron's love for each other is as solid as the mountains we climbed that beautifully foggy Sunday afternoon. Emily and I were in marching band together at UVA. It was certainly a pleasure to reconnect with her and it led to her and Cameron booking me to document their beautiful day. They will be tying the knot in May at the Lewis Ginter Botanical Gardens and I can't wait!